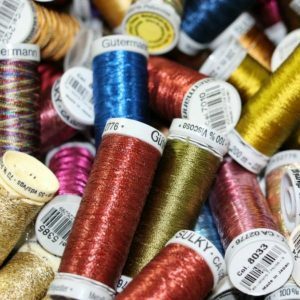 Gutermann Polyester Metallic 200m Machine Embroidery thread is a beautfiul quality thread. 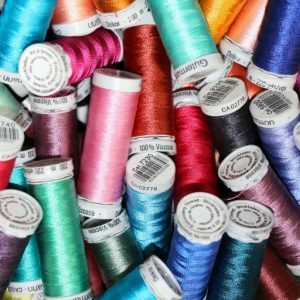 When you require a special effect in your work, it is good to use a reliable thread. Available to purchase in any quantity, full box size is 5. 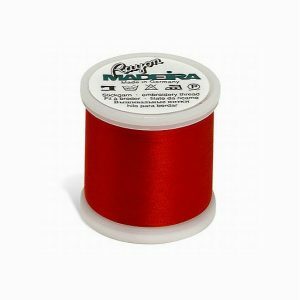 Machine Embroidery Thread – 100% Viscose Rayon, budget 1000m reels to colour co-ordinate your embroidery projects. 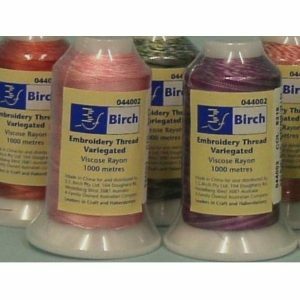 Machine Embroidery Thread – 100% Viscose Rayon, budget 1000m reels in variegated colours to enhance your embroidery projects. Quality Madeira Rayon No. 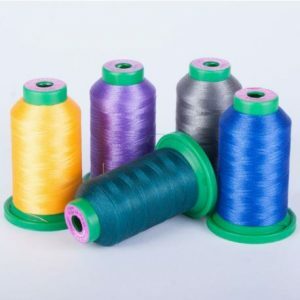 40 Machine Embroidery thread available in a brilliant colour range. 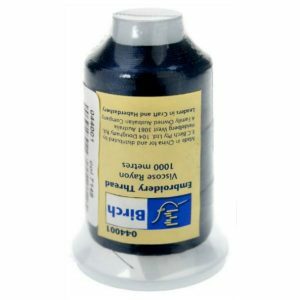 The high tensile strength of this thread makes it suitable to use on fine silks to heavy denim. 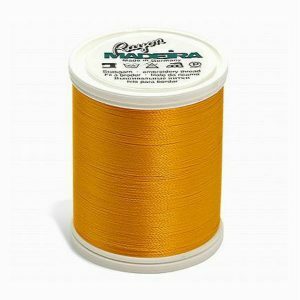 Madeira Rayon No. 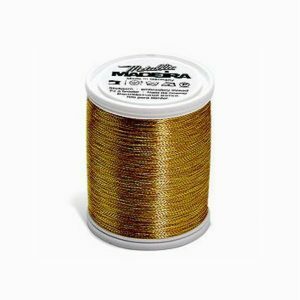 40 Metallic Machine Embroidery Thread is great for special effects to your quality work.